Independent modular or zone controls with varying zonal temperature controls. Our Unitherm Rapidflow Linear Oven is one of our most versatile cooking solutions. While our linear ovens have evolved over the years, the latest model still features an independent inner skin design for high-temperature browning applications and multiple independently controlled zones for optimal cooking. With high-velocity airflow at the heart of its process, the Rapidflow offers multidirectional and variable speed fans which enable operation in impingement mode with high velocity airflow or in convection mode, to envelope irregularly shaped products with uniform energy. 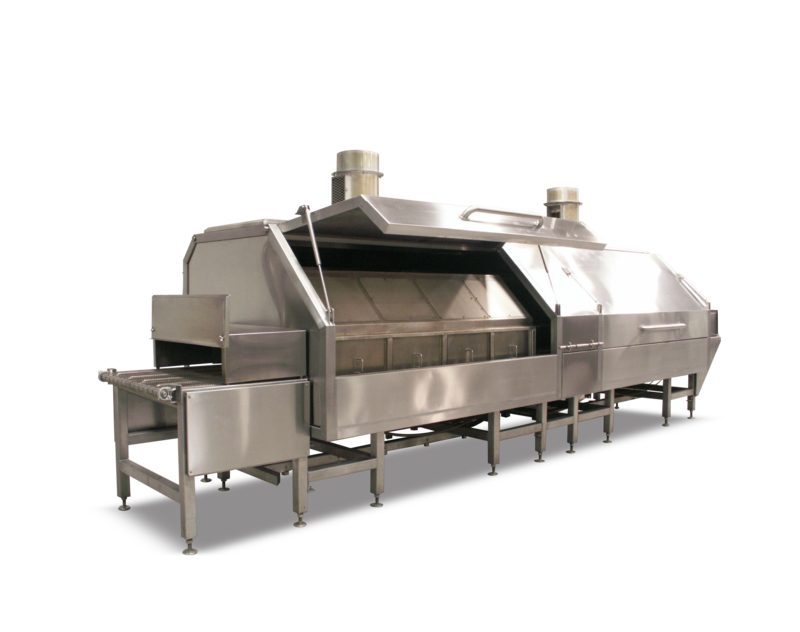 Air passes through the heat exchanger and is then applied to the cook zone in forward, reversing, or combination patterns to create a perfect thermal atmosphere for rapid, uniform cooking or browning of any product. 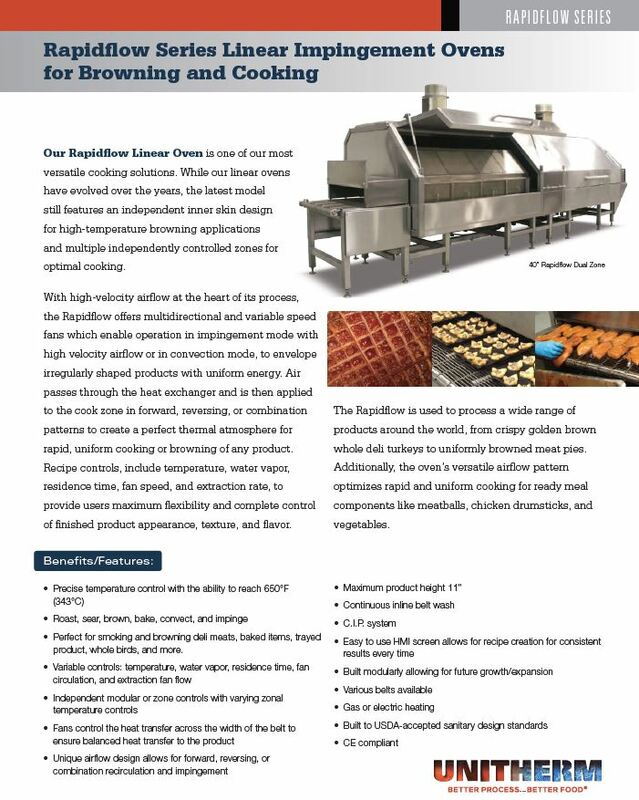 Recipe controls include temperature, water vapor, residence time, fan speed, and extraction rate, to provide users maximum flexibility and complete control of finished product appearance, texture, and flavor. The Rapidflow is used to process a wide range of products around the world, from crispy golden-brown whole deli turkeys to uniformly browned meat pies. Additionally, the oven’s versatile airflow pattern optimizes rapid and uniform cooking for ready meal components like meatballs, chicken drumsticks, and vegetables.